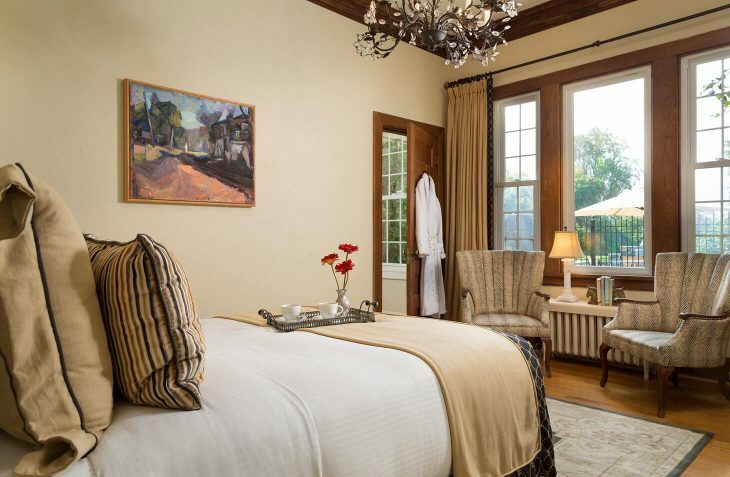 The rooms and suites at Glen Gordon Manor are lavishly appointed to enhance the ultimate comfort of our guests. 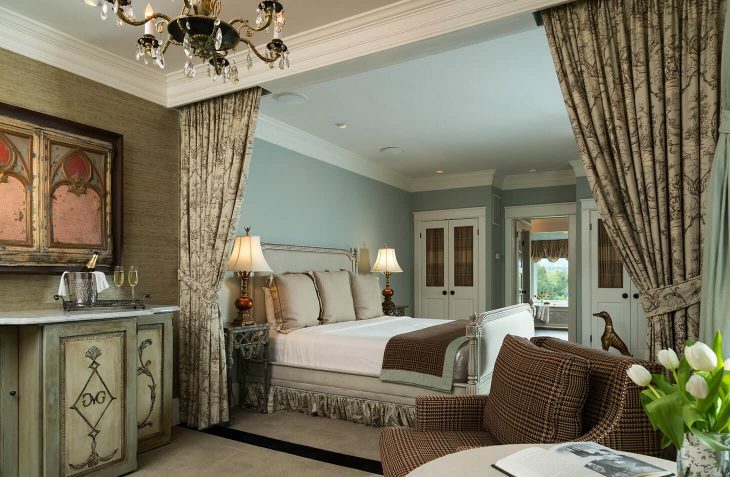 Hand-selected luxury fabrics, antique furnishings, and thoughtfully curated art in combination with modern conveniences make your Shenandoah Valley getaway uniquely memorable. 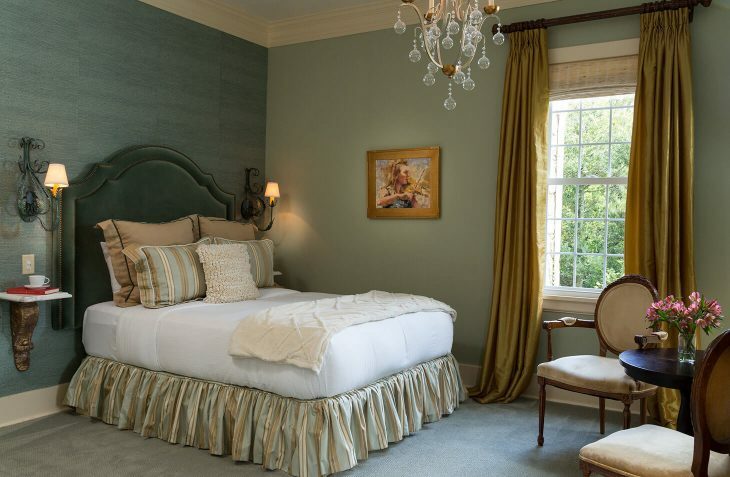 Stay in “your” special room each time you visit, or discover a favorite for every occasion. Daily: 3:00pm – 6:00pm. Please let us know if you will be checking in after 6pm. Extend your Glen Gordon Manor experience with guaranteed early check-in; available between 12 pm – 2 pm for an additional $25 fee. Please note your arrival time when booking online or ask for early check in when you make a reservation by phone. 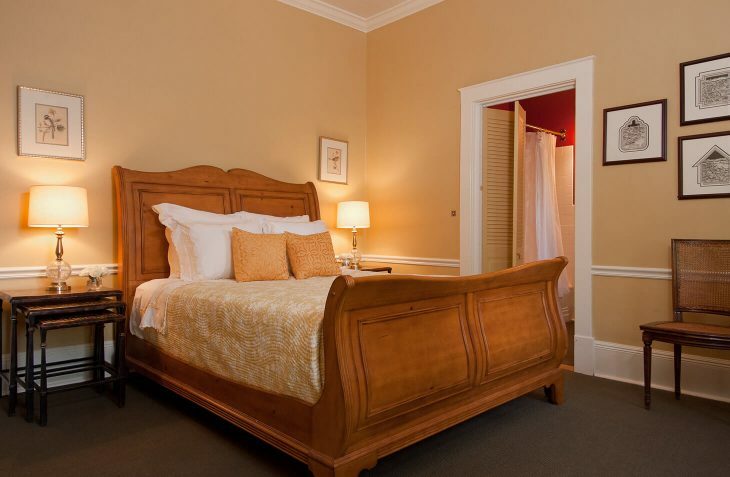 When making a reservation, we require a deposit equal to your first night’s stay. As a moderately sized inn, cancellations affect us greatly. Should you cancel more than fourteen days prior to arrival, your deposit will be refunded minus a $35 administration fee. Should you cancel within fourteen days of arrival, you deposit will be forfeited, unless we are able to rebook the room, in which case you will only be responsible for the $35 administration fee. Room rates are based on double occupancy. 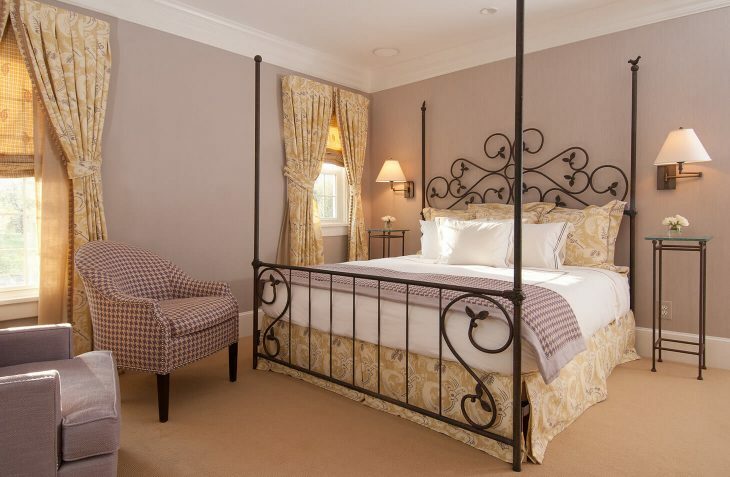 Additional guests are possible in the Wakefield Suite and the Mews Cottage, both are 2 bedroom units. 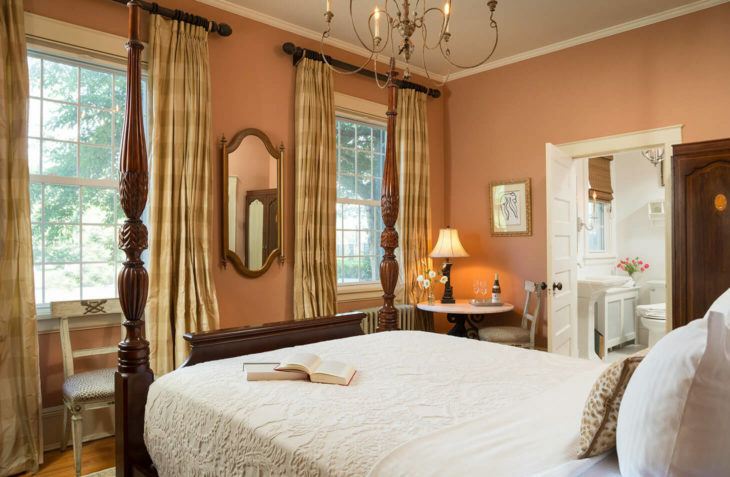 There is a fee of $100 per additional adult/per night, $50 per additional child/per night. We do not permit pets on Manor Grounds. If you are traveling with a canine companion we can refer you to reputable and caring facilities where they may enjoy their own accommodations. We serve breakfast in the dining room from 8:30 to 9:30 am. Breakfast is included in the extra person charge. If you wish to invite outside guests to join you for breakfast, the charge is $30 per person. Please notify us if you are visiting Glen Gordon Manor with a gift certificate or voucher. We still need a credit card on file, although no charges will be applied until after your visit. We are constantly expanding the services we offer to our guests. Although we make every effort to keep our website updated, please note that prices and services are subject to change at any time. We reserve the right to refuse service at any time, to anyone, for any reason.